Peter Guenter, head of Sanofi’s Diabetes & Cardiovascular business, talks about the future of chronic disease care, its Verily joint venture Onduo and disruptive innovation. Peter Guenter has been in the pharmaceutical industry for more than 30 years, having started his career in sales in his native Belgium back in 1986, and progressing on to senior roles at Synthelabo, which later became Sanofi. Decades spent working in the pharma industry can often give executives tunnel vision about the central place of medicines within healthcare. But Guenter is under no illusions about the coming revolution in healthcare – and just how much pharma must adapt in order to be sustainable. He says that the industry has discovered and developed generations of great medicines in diabetes, cardiovascular medicine, vaccines, HIV and a cure for hepatitis C, to name but a few. Nevertheless, he is sure that the old ‘transactional model’ for developing, launching and marketing medicines is “no longer viable”. In type 2 diabetes this is particularly the case, as the number of people with the condition continues to grow to epidemic proportions – but it’s the lack of major progress on controlling the disease which is the biggest problem. “Despite the fact that we’ve had an incredible increase in the treatment options – guess what – if you look at the outcomes, these aren’t much better,” he says. While this is a modest assessment of pharma’s achievements, it does reflect the pressure the industry’s business model is already under. 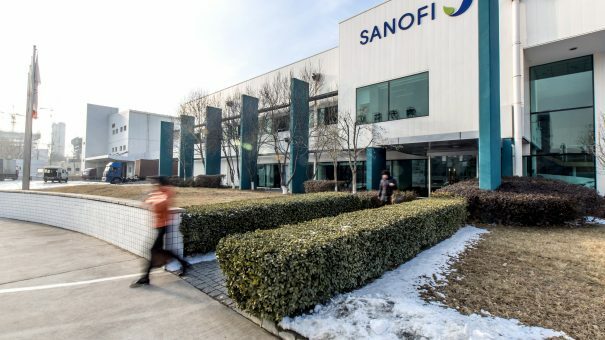 Sanofi, in particular, is at the sharp end of these changes, as its diabetes portfolio is suffering at the hands of increasingly demanding US payers, who are driving down prices and demanding more proof of efficacy than ever before. The company’s biggest seller, insulin analogue blockbuster Lantus, saw sales decline 9.4% to 5.71 billion in 2016, and these are set to decline further as biosimilar competitors bite into its market share. Sanofi has a next-generation long-acting insulin, Toujeo, plus a recently-launched insulin analogue + GLP1 combination Soliqua – but the company knows it needs to broaden its vision for innovation in the field. Guenter was appointed executive vice president of Sanofi’s diabetes and cardiovascular business in June last year and given the task of reinvigorating this flagship division. He is leading Sanofi’s vision for an entirely new approach to diabetes, cardiovascular disease and chronic disease management. “An integrated care solution is needed. That means combining several things: drugs, services, devices and management of data,” he says. Central to Sanofi’s stake in this emerging integrated care model is Onduo, its joint venture with Google. Sanofi and Verily (the healthcare arm of Google) set up Onduo in September last year with a view to creating a data-driven, patient-focused disease management service. 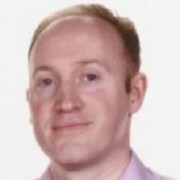 Led by its own chief executive, Dr Joshua Riff, Onduo now has a small team building up its disease management offering. Peter Guenter says he expects pilot studies to be launched in partnership with leading integrated care providers in the US by 2018. He says the US has some healthcare providers who are world leaders in integrated healthcare, but adds that the offering will be rolled out to Europe and beyond as well. Understanding a patient’s needs, lifestyle and behaviour is central to the challenge, and this will require a bespoke disease management programme for every patient. Finding ways to ensure that patients are the lead partners in their care is the holy grail, and Guenter believes this can be achieved by giving patients control via convenient technology, data and support. As smartphones are already the centre of so many people’s lives, Onduo is expected to allow patients to manage their condition and their connected devices via their phones. Sanofi and Onduo are, of course, not the only players in the market, and the last few years have seen an explosion in new digital health companies developing innovative medical devices for diabetes, including CGMs, diabetes management platforms, implantables and ‘artificial pancreas’ devices. Sanofi’s big rival Novo Nordisk has its own big data platform in development, an alliance with IBM Watson, and so the race is on to prove who can develop the best service within the next 3-5 years. The most imminent development for Sanofi is Diabeo, a digital insulin titration system developed with leading digital health company Voluntis. Guenter says this product should be ready for roll-out soon, and will help patients increase titration faster, and overcome fear of hypoglycaemia. He adds that CGMs have already shown “quite spectacular” improvements in blood glucose control in patients, and believes maturing technology will consolidate these gains. Of course Sanofi isn’t abandoning its core business of developing innovative insulins and other novel diabetes drugs. Among the important coming milestones are randomised real-life studies of Toujeo, expected to be published later this year and in 2018. The company is also investing in truly disruptive drug innovation. Guenter says a cure for type 1 diabetes is no longer science fiction, and Sanofi is among the numerous players investigating ways to replace lost beta cells in the pancreas via stem cell therapy and other techniques. Peter Guenter will be a keynote speaker at the eyeforpharma Barcelona conference next week, 14-16 March.